Clyde Naval Gazing: And then there were three! 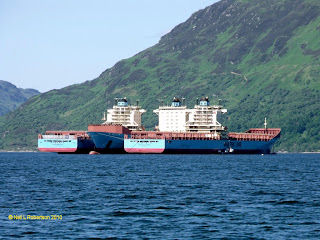 The remains of the Maersk raft in Loch Striven 22 June 2010. A photograph by ClydeNavalGazing correspondent Neil Robertson.